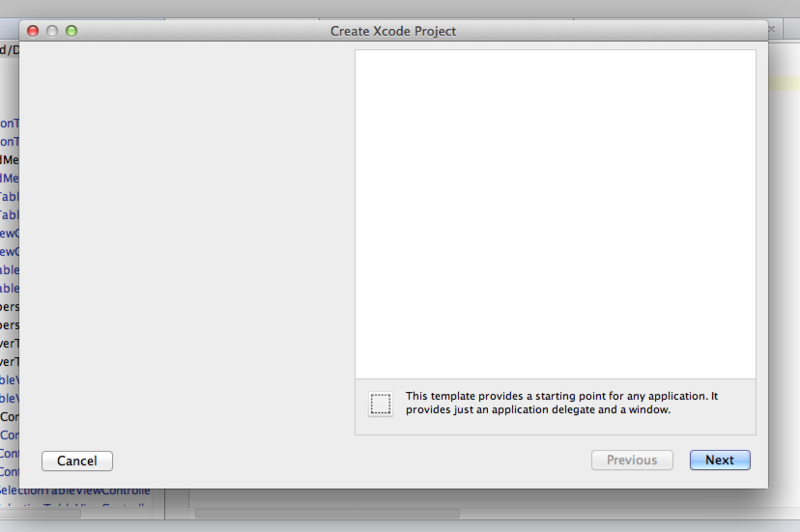 I'm having issues using AppCode in that many of the displays are simply not showing the contents. I have blank areas where I know there should be selections. Here is an example of the New Project screen. It's making AppCode unusable for all but a few functions. does AppCode show this windows correctly with one-display setup? Please attach the log files (Help | Show Log in Finder). please file a bug report in the tracker (http://youtrack.jetbrains.com/issues/OC) and attach a log file.